The theme for the Ludum Dare 41 was “Combine 2 Incompatible Genres”. I’m pretty familiar with genre mashup, and I accepted Jim Shepard‘s challenge to jump in. As usual for the LudumDare, I wanted to do something different than what I always do. That usually means doing something more accessible to the casual public, as well as ditching pixel art, and including real-time stuff and animations. 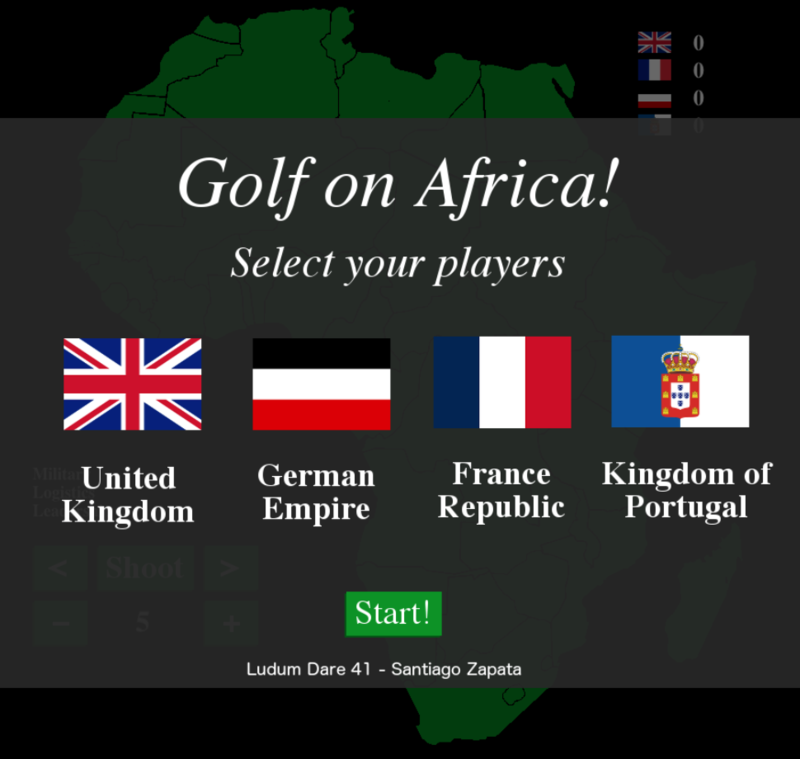 1884, the European superpowers have met to decide the future of the African continent… now their leaders face each other in an Open golf tournament to divide the land between themselves! 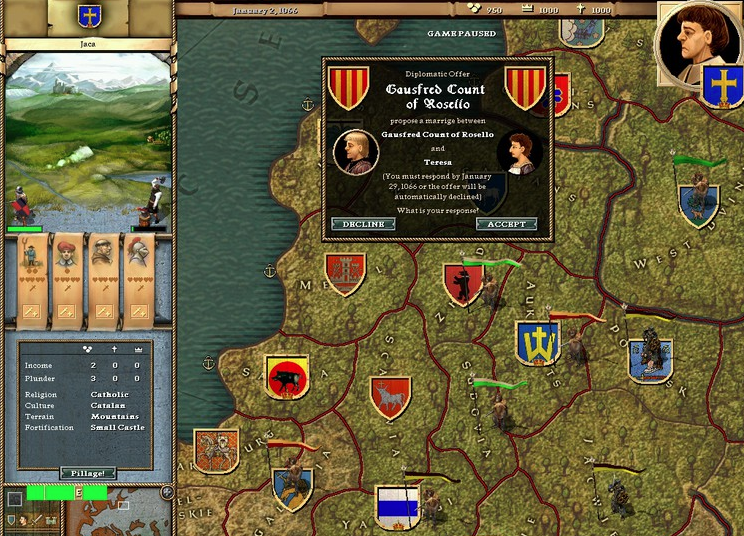 I went for a combination of a Golf game with territory based war game (think Crusader Kings / Europa Universalis, or maybe RISK). It’s made for 2 to 4 players who take turns to play, the first country to occupy 10 territories wins the match. 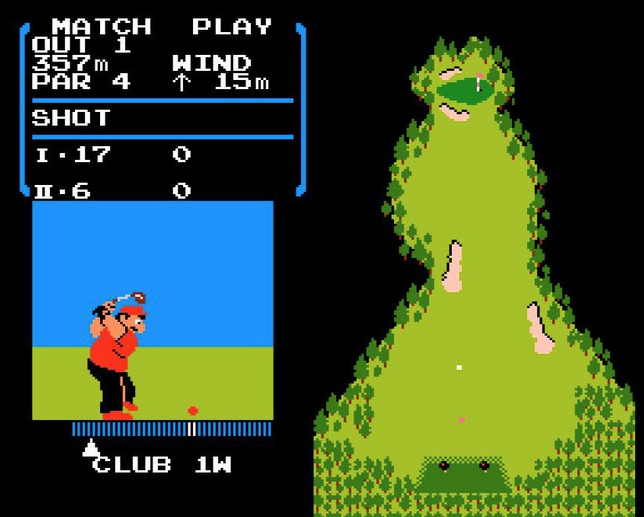 In order to try to occupy a territory, you must land your ball on it, every turn the player decides the direction and power of his shot. The outcome depends on the stats of his country. 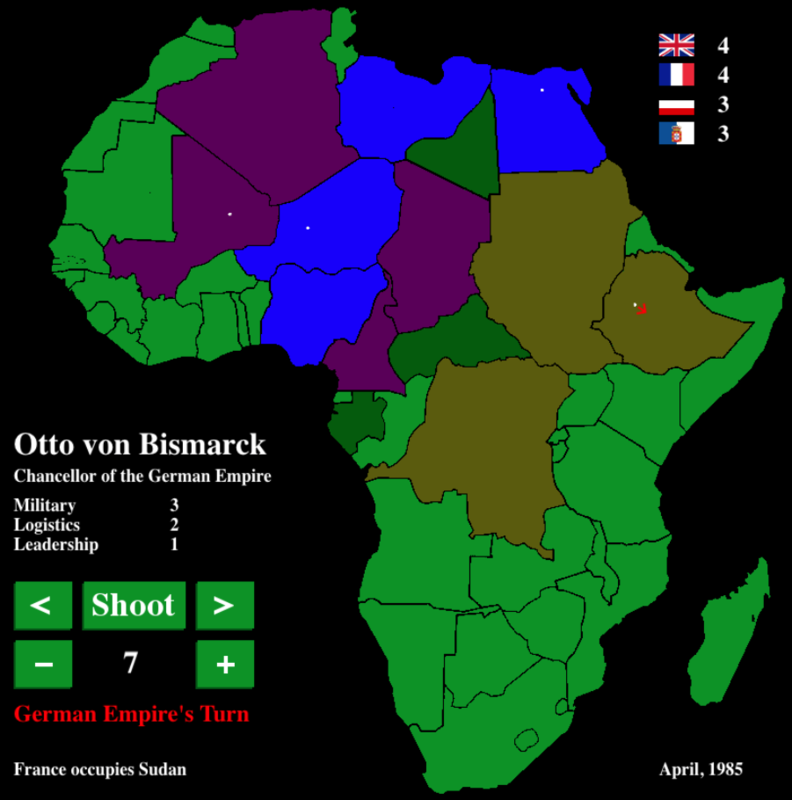 You can also invade other player’s territories, where the success of the invasion depends on the Military stat of each country. Countries also have other 2 stats: Logistics affects how far your shots will fly (with Great Britain being the best on this) and Leadership affects how accurate your shots are. Since I knew in advance my time would be extremely limited during the span of the compo, I went for my usual toolkit: Phaser2 + ES6. 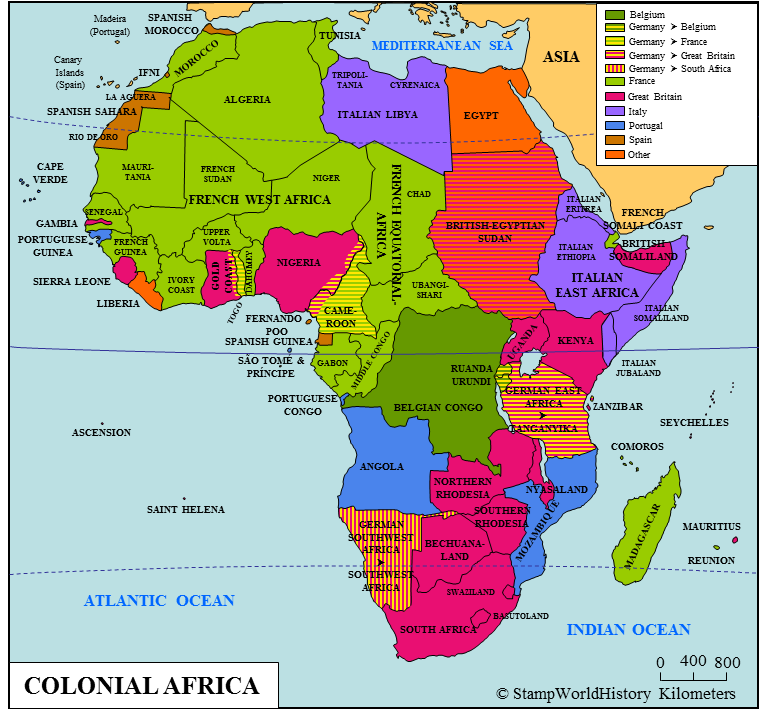 All art was done on GIMP, basically a lot of repetitive work extracting the different countries from a colonial map of Africa, and some flags and UI stuff. Due to the “weird” square and “high” resolution of the game (as in being about 800x800px, high for browser games standards) ended up doing a lot of work to make sure it would display fine on browsers with a smaller window height (you’d be surprised this is still very common in 2018) as well as the fancy retina displays which always mess up with scaling calculations. Enhancing the appearance in general.